This mod is outdated and I do not (currently) have plans to update it further. Andrew at Sims 4 Studio has written an updated version of this mod including some additional bug fixes. I don't know if he will continue to update it, but hopefully that will be the case! Andrew's version can be found in Andrew's Studio on the Sims 4 Studio website. March 9 Mod Update - I've added a "Just Go Away!" 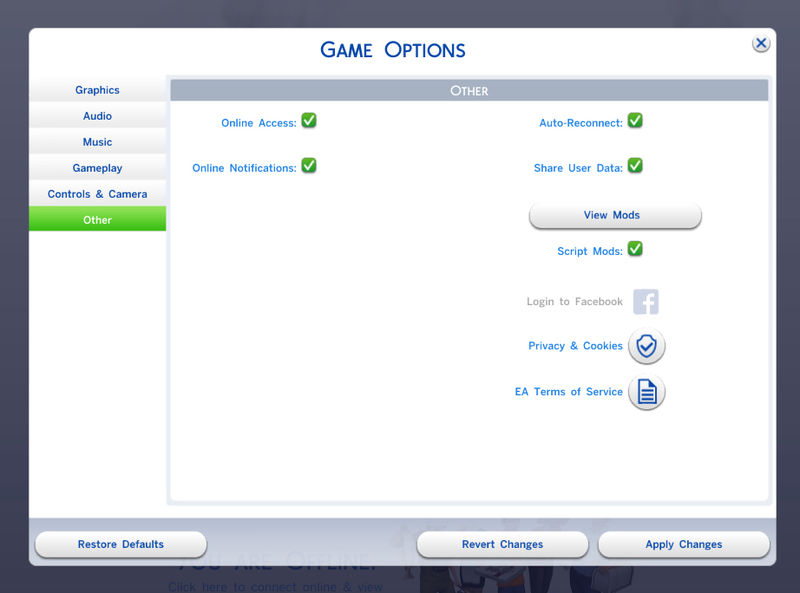 interaction which will appear on NPC Sims on the lot. If you update your mod be sure to remove the original version of both the package and ts4script files! Telling a Sim to Just Go Away does not require your Sim to drop everything to ask them to leave, the requested Sim will simply cancel all of their running and queued actions and then teleport off the lot. They will not wave bye-bye, and they will not inform you that they "have to run". Works on Grim (if he's not currently busy reaping), employees, customers, bar visitors -- just about any NPC Sim that is on the same lot. Sim's that are already leaving will not have the option to Just Go Away, or if they do it will not work and they will continue to walk to a spawn point and leave normally. This is based on an idea I got in a recent forum post, and it seems to work fairly well. This is a statue object, which can be purchased for free from the Decorations/Miscellaneous, that has two teleport commands available from it. The basic "Teleport Sim" command will bring a sim to the location of that statue. The Sim will be reset to cancel whatever they may be doing (or else they would ignore the teleport) and be instantly moved to the destination replacing the statue. The "Summon" version of teleportation will bring a sim from another lot, or a household member who is off lot. The Sim will be spawned and given an appropriate "visitor" role so they don't just try to leave. If the Sim was a member of the household and off to work or school, they will simply get their work-day cancelled normally and be pulled out of the rabbit hole. The statue has had it's footprint removed so that you can place it with a lot of flexibility, even without the move objects cheat on. This is primarily so you can put two statues very close to each other for a posed situation, but can be abused in all sorts of ways if you wish. Notice that you can summon G. Reaper using this mod. He showed up in the list of all Sims not on the lot, so I figured why not make him work? I've given him a custom role for the duration of his stay which is a combination of his normal job role and the guest role, which will allow him to get right back to work if he must but does mean you cannot ask him to leave (other summoned Sims will stick around for the normal guest duration or until you ask them to leave). This seems to be quite safe, it's just a temporary role for him and he drops it right away if needed, even if someone dies on the lot while he's "just visiting" he'll get right to work with the reaping. Of course, if this ruins Grim in your save game (and I'm pretty sure it WON'T), you've been warned, "Mess with the supernatural and you may just end up with some unnatural results." I have tested Grim pretty thoroughly and I don't have any qualms about saving the game after summoning him. One oddity was that, despite setting their guest role, Sims tended to arrive needing to use the toilet pretty often. In fact, when first playing around with Grim he would head right off to the can and sit down for the duration (he'd been holding it in for all eternity after all). I tried setting the Sims' needs to a normal range (75-100) after summoning them but that would not seem to help (I think they must not have been completely "there" yet). So I've added a simple timer to fix their needs commodities one sim minute after they are summoned, and that seems to work well. This mod was written and tested on Windows for The Sims 4 version 1.15.55.1020 (February 4, 2016), but should be compatible with most earlier game versions if you aren't fully patched. It is reported as working on version 1.13.104.1010 (December 4, 2015). To install, extract both the package and ts4script file from the download into your mods folder. The script and package do not need to be in the same folder (but it's always easier later if you keep them together) but the script file cannot be placed more than one subfolder deep. This mod does not modify or change any of the game's XML or scripts, it's entirely an addon.